The history of the WINMAU World Masters is one of the biggest success stories in the sport of darts yet little has been written about the history of this prestigious tournament. It is time for me to present the facts. In 1973, darts organiser and entrepreneur Eddie Norman had successfully run the first Home International Darts Championship in Bristol, England. At that time the popularity of darts was advancing rapidly across the UK but slowly across the world. The key question was how to interest the rest of the planet in the sport of darts. In September 1973 Eddie was flying back from New York after a business trip. He was sitting in the plane, relaxing and daydreaming about how darts could grow into an international sport. He told me, "I thought of all the Masters tournaments in other sports. I then thought of a 'British Masters' for darts but then thought no, let's go the whole hog and initiate a World Masters event and hope that enough players from overseas could be found to make it happen." Utilising his contacts across the world of darts which included Bob McLeod (United States Darts Association), Tom Fleetwood (North American Darts Organisation), Patric Eneroth and Kent Seagren who were 'basically running darts in Sweden', Frank Quinn (Scottish Darts Association) and Louis Donohoe (All Ireland Darts Association) and others, Eddie's dream seemed about to be realised. 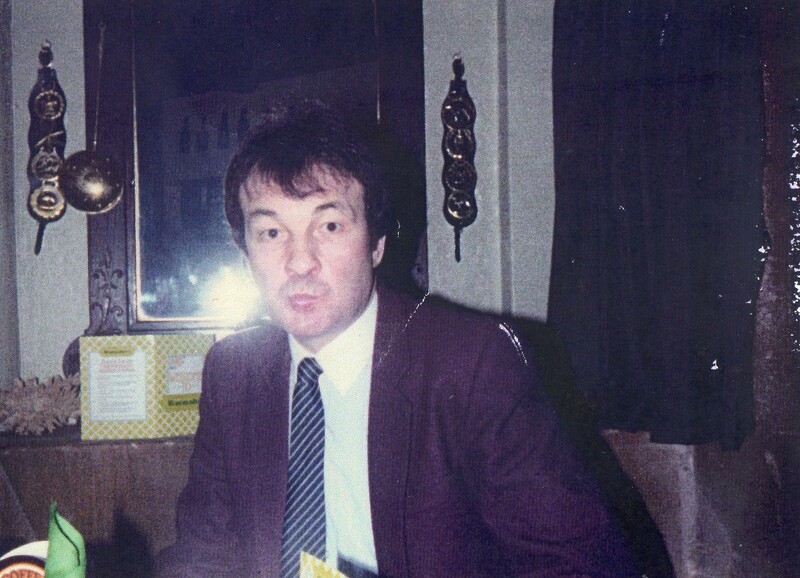 Back in 1973, Eddie was Competition Secretary of the British Darts Organisation (BDO), an organisation only recently formed to control darts in Britain. It was clear to Eddie that the success or failure of the event would depend on the BDO's involvement. Eddie approached the head of the BDO, Olly Croft, and they discussed the proposal. "Once Olly was on board I knew we had a winner" said Eddie. "Olly and his wife Lorna were the 'dream team' to have to help launch the World Masters and we spoke nearly every day on the telephone about the plans." With planning well underway, the next major tasks were to secure a sponsor and decide on a venue. 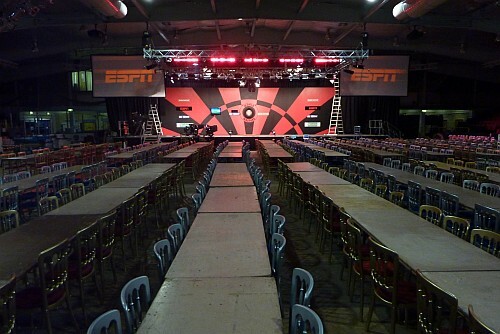 Eddie recalled, "This was very much down to Olly who could always be depended on to raise a sponsor and by now, with the combined enthusiasm and hard work of the new BDO council members, the event was on." Whilst a sponsor was being sought, it was agreed to stage the event at The West Centre Hotel in Fulham, London. Eddie told me, "The hotel was booked amid promises that they would get their money back on drinks." Eventually the record company Phonogram, whose stable of artists included Status Quo, Harry Secombe and Rod Stewart, was secured as the main sponsor. So, with everything in place, and with a line-up of twenty-two international darts players, the date for the inaugural 'World Masters Individual Darts Championship' was set as Saturday 31st August 1974; a historic day for darts. Although Phonogram sponsored the second World Masters event in 1975, they withdrew their support thereafter and the search was on for a new sponsor. The most natural place to start was the WINMAU Dartboard Company; that company's dartboards being already endorsed by the BDO and were certainly used in the second World Masters, if not the first too. A sponsorship deal was agreed. The first WINMAU World Masters was held at the West Centre Hotel, London on 20 November 1976 and featured representatives of no less than thirteen different darting nations. The inaugural WINMAU World Masters was won by England's John Lowe who whitewashed Wales' Phil Obbard 3-0 in the final to earn the title and collect the £1,000 winner's cheque. As if to reinforce the true international status of the event and to show how the sport was spreading across the globe, the losing semi-finalists were Javier Gopar (USA) and the Australian darter, Kevin White. Thereafter the international reputation of the WINMAU World Masters surged achieving everything that Eddie Norman had hoped for. They say that 'from small acorns mighty oaks do grow' and so it was with the World Masters. From small enthusiastic beginnings and a men's winning cheque of £400, the 'WINMAU', as it is now commonly known, became the richest two-day tournament on British TV when it offered top prize for the Men's Masters Champion in 2007 of £25,000 (part of a total prize fund of £60,000, which included £5,000 for the Women's World Master (a tournament inaugurated in 1982)). The company also introduced a World Youth Masters in 1986 and this was split into two (World Boys Masters and the World Girls Masters) in 1999. In 2007 the Masters involved the champions of over one hundred and twenty national, international and world darts championships from around the globe a massive increase from the thirteen countries represented in the inaugural event. Today it can be reported that the immediate future of the WINMAU World Masters is assured. In 2007 WINMAU signed a new five-year deal with the BDO for the tournament and also welcomed a major new sponsor to the event, JJB Sports. / Eddie Norman recalled recently that the World Masters was "the first World Darts event and spectators and players had smelt darts blood and they wanted more." Little did Eddie know that, thirty-five years on, the event he thought up on a plane in 1973 and financed on a shoestring would still be fought for by top darters from across the world later.